Disclaimer: This site is intended to facilitate the trading/selling of Decipher's 'Lord of the Rings Trading Card Game' cards through private transactions. We are not affiliated with New Line Cinema, Decipher Games, Tolkien Enterprises or any other corporation. Any transactions completed between members of this site are not moderated, and the owners of this site cannot be held responsible for any misconduct or transactions that go awry. Prior to posting or negotiating transactions we strongly encourage all members to visit the Warning List, the page where violators are listed for a probationary period. The Trading Forum is to be used to post wish/sell lists only. All negotiating/individual requests are to be done by private e-mail, ICQ, IM etc only. "WISH List, Deck, Card #1 or Multiple Cards"
If you are wishing for ONE card, and ONE card only, list the card number and/or title in the subject. If you wish for multiple cards, write �Multiple Cards� in the subject. In the "message" area of your post, you should include what card(s) you are looking for as well as the cards you are willing to trade, or the amount of money you are willing to buy for. "SELL List, Deck, Card# or Multiple Cards"
If you wish to sell multiple cards, write �Multiple Cards� in the subject. In the �message� area of your post, you should include what card(s) you are selling as well as the cards you are willing to trade, and the price(s) of your card(s). We assume that everyone will use this site in good faith and do not intend to moderate every transaction that takes place. However, in the event that someone becomes disruptive to the community, or mishandles transactions (ie. Doesn�t pay etc. ), we are providing a method of punishment. Please note that this does mean that you will be reimbursed for any trading/selling mishaps. Should there be difficulties with a Trader/Seller, send an e mail to one of the moderators. Be sure to include contact information for both (multiple) parties, and any relevant e-mails regarding the transaction. The names of Traders/Sellers who have been complained about will be added to the 'Warning List'. We strongly encourage Traders/Sellers to consult this list before negotiating transactions. Warned Traders/Sellers will remain on the list for 30 days, after which, if there have been no more complaints, they will be removed from Warning Status. On the reverse side, if during the warning period an additional complaint is received by the moderators, the Warned Individual will be removed from the lists and will have their IP banned from any future transactions. Note: A member may only be on the warning list once. If other complaint occurs even after the warning period the member will be banned. Towards the bottom of the Warning List, there will be a Banned List. The screen names and e-mail addresses of all community members that have be banned will be placed here. This will be done to protect community members from unwittingly engaging in transactions with banned members. 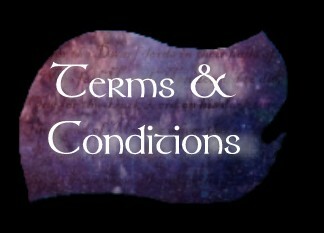 Registering for the LOTR TCG Trading community means you accept the above Terms and Conditions.